John Driver, well known south Texas oil and gas man died after a short illness in San Angelo, Texas on August 15, 2017. 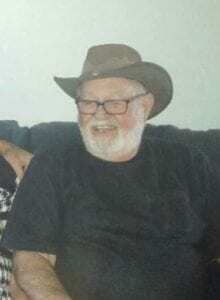 John was born on April 2, 1944 in Seminole to Elmer and Olaine Driver. He grew up and attended school in Seminole, Texas. Upon receiving special permission from his parents, he enlisted in the Navy at seventeen years of age and began serving our Country. While in the Navy, John traveled the world. When he returned from the Navy, he began working in the oilfield and made this profession his livelihood . He worked as a “roughneck” for years and worked his way up the perilous and demanding ladder of the oilfield business. He later owned and operated Driver Investment and River Resources and Driver Quick Line. John also enjoyed traveling all around the USA going to auctions and trying to get a good deal on a piece of equipment, but what he truly loved was being in the company of friends and family, using his dry, Driver sense of humor and wit to entertain everyone. John is survived by four children: daughter, Jennifer Marchant and her husband, Johnny of Cabot, AR. ; son, Brady John Driver May and his wife, Amy of Prescott, AR. ; daughter, Tami Kuntz and husband Kim of Watertown, MN. and daughter, Christin Driver of Romulus, MI. ; grandchildren Magan, Sarina, Andrew, Jacob, John Christian, Anna Cate, David Lee, Courtney, Kelly, Kyle, Allison, and two great-grandchildren James and Luke; one brother Billy W. Driver and wife Mary of Caldwell; sister Elaine Driver Morales and husband Richard Morales of San Antonio; two sisters-in-law, Belle Driver of Giddings, TX and Carolyn Driver Easley of Gardendale/Cotulla and numerous aunts, uncles, nieces and nephews. John was preceded in death by his parents Elmer Leamon Driver and Olaine Simpson Driver and brothers, Lewis Driver, Fayne Driver and Don Driver.